Since the franchise returned back in 2015, STAR WARS has been trying to mix new characters with classic heroes (and villains) from the past. ROGUE ONE: A STAR WARS STORY may feature Darth Vader, but it focuses on new protagonists like Jyn Erso (Felicity Jones) and Cassian Andor (Diego Luna). Even the EPISODE movies, which are carrying on the Skywalker saga, are lining up new characters alongside legends like Han Solo (Harrison Ford), General Leia (Carrie Fisher) and Luke Skywalker (Mark Hamill). So, it’s no real surprise that the upcoming STAR WARS: THE RISE OF SKYWALKER will bring new faces to the fold, while also bringing back people from the saga like Lando Calrissian (Billy Dee Williams). 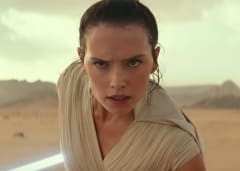 While attending Star Wars Celebration in Chicago, AMC learned details about new characters who will appear in J.J. Abrams’ STAR WARS: THE RISE OF SKYWALKER, which arrives in theatres in December. 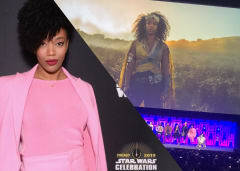 The major addition to the cast, who was on the panel stage at Celebration, is actress Naomi Ackie. She will play a character named Jannah, and while details on her persona were kept under wraps, she hinted strongly that she could be the daughter of Landon Calrissian. Ackie told fans gathered at the event that the main heroes in the movie will be on an epic journey, and it was a spoiler about where and how they cross her path, but she teased that the meetup will be a blast for fans. There are famous actors who have been cast in the film who did not make an appearance in any of the STAR WARS footage or at the panel. So, somewhere between now and the release of STAR WARS: THE RISE OF SKYWALKER, we hope to learn more about Keri Russell’s character, Zorii, and how she factors into the overall narrative of the story. 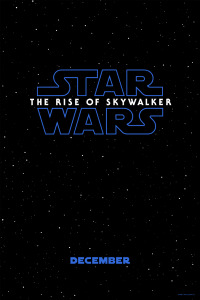 Also, Richard E. Grant and Dominic Monaghan both made headlines when they were added to the ensemble of STAR WARS: THE RISE OF SKYWALKER, but we don’t yet know who either actor is playing. 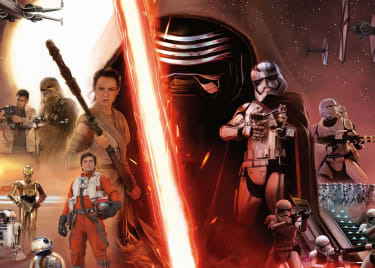 Human characters are a great addition, but fans also want to see creatures and droids. Director J.J. Abrams praised the work of Neal Scanlan and his legendary team for the creation of more new creatures that will be featured in key scenes from the movie. Details were scarce, but we saw C-3PO, Finn (John Boyega), Poe (Oscar Isaac) and Rey (Daisy Ridley) interacting with fantastic looking aliens and beasts in new locations that look to be taking STAR WARS to all new corners of the galaxy. 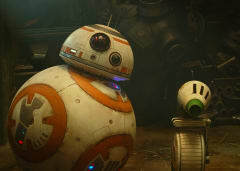 Abrams also brought a new droid out onto the stage named Dio, and we were told that he would be a friend to BB-8. 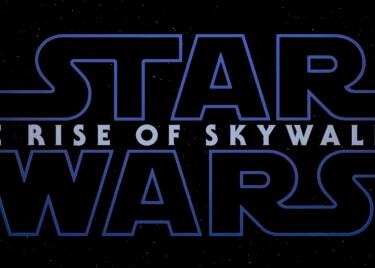 Dio actually appears briefly in the new trailer for STAR WARS: THE RISE OF SKYWALKER, which screened for the first time at Celebration. 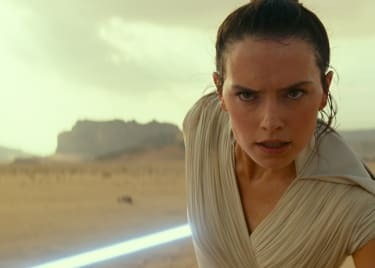 We left Chicago extremely excited by what we saw — and now think it will be a very long wait until STAR WARS: THE RISE OF SKYWALKER arrives in theatres December 20.